Are you thinking about buying a turnkey property in New Jersey? Make sure you read this blog post to find out what you need to know before buying a turnkey property in New Jersey or the surrounding area. This information could help you find the right investment and avoid the wrong one! There are many different kinds of investments but we believe that one of the best kinds of investments for most real estate investors is a turnkey property. That’s because turnkey properties are already cleaned up, rented, managed, and cash-flowing right from day one, which means you start generating returns earlier than you would with a flip or a distressed property that you need to do all the work on before you start seeing any income. To help you find the perfect turnkey investment, here’s what you need to know before buying a turnkey property in New Jersey. You’ll want to know how much it cash flows. Cash flow can vary, but ANY cash flow can be good. (Even Robert Kiyosaki’s very first property was only cash flow positive $25 a month!) The key is not necessarily a specific cash flow amount but more about the consistency of the income. If you want cash flowing properties, be sure to talk to us here at NJ Property Wholesalers. Get in touch by calling us at 855-966-DEALS and we’ll share our current inventory of cash flowing turnkey properties. As with any investment, there will be expenses and fees. It’s good to know what yours will be. Are there HOA feels? If you’re holding them inside an LLC, will there be corporate fees? If you’re buying the property inside an IRA, will there be fees to the Self Directed IRA custodian? There’s nothing wrong with fees; it’s just good to know what they are. 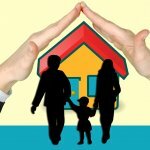 All real estate should have insurance, especially if you’re dealing with tenants. No matter who you buy your properties from (us or anyone else), make sure you ask them about what insurance comes with the property and whether anything else is needed. One of the best parts of turnkey investing is getting a cash flowing real estate investment that you don’t have to manage yourself! The management team will take care of many things to help make this hands-off investment. That said, you should be aware ahead of time of what they will and won’t do. Will they proactively tell you when someone needs to be repaired or do you need to ask? Will they pay for utilities and taxes or will you get the bill? There is no right answer, you have to figure out what works for you, but just be aware ahead of time so you don’t get any surprises. Looking for a turnkey property? We can help. Click here now and fill out the form or call our team at 855-966-DEALS to see our turnkey inventory.